Eeeeek! High School Musical alum Ashley Tisdale is back as Sharpay Evans! Sharpay’s Fabulous Adventure follows Ashley’s lovable HSM character’s life after graduation as she tries to get a role in a Broadway show. The straight-to-DVD Disney flick is slated for an April 19th release, and Ashley’s still going strong as cheerleading captain Savannah Monroe on the CW’s Hellcats. She even had voice roles in a few different TV cartoons last year—The Cleveland Show and Family Guy among them. Whew, no wonder this gal made #17 on Forbes magazine’s “High Earners Under 30” list back in 2007—she’s always workin’ it! 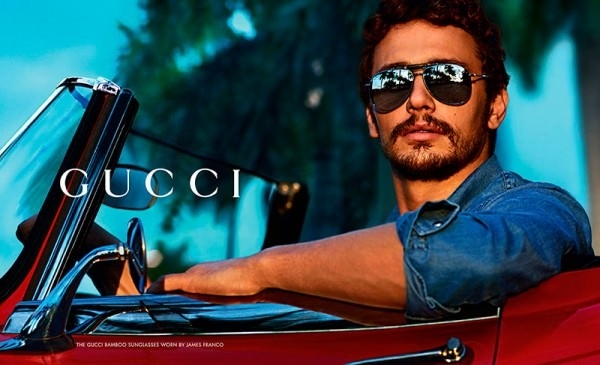 By the way, her glamarific Gucci aviators are available in eight different frame / lens color combos.